Need a hand managing all those places you have in the Cloud? CloudCube is the powerful management tool for for browse and sync data with your cloud storages. Unique features will allow you to do any work with your storages quickly, simply and easy. The file sharing and cloud storage space is very crowded, but many users still find it perfectly manageable to use two or more services at once. Cloud aggregator apps make this all the more easier and there’s a fairly large number of such apps available for just about every platform. 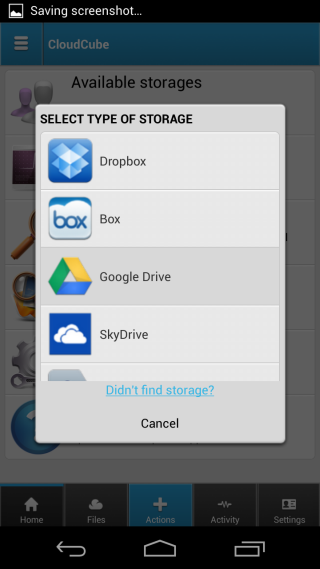 CloudCube is yet another cloud aggregator app for Android that allows you to connect your Dropbox, Box, Google Drive, SkyDrive, and Yandex Disk, letting you access files in each account from a single app. Users can not only browse and save files from these accounts to their local storage, but also upload files to any one of the connected accounts. CloudCube lets you upload individual files or entire folders at once and has a dedicated tab for monitoring file upload activity. The app indexes all files on your cloud and local storage and offers a central search feature that allows you to search for files and folders from the connected storage accounts. VPNium is a desktop application for Windows that lets you browse the internet anonymously by acting as a VPN between your computer and the internet. This way, you can surf the web while hiding your real IP address. The application boasts plenty of features like 256 – 2048 bit encryption, zero registration for free variant, and full access to blocked or partially unavailable online services in your vicinity. 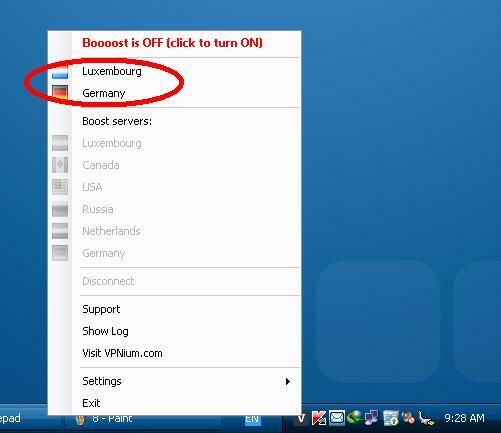 The application gives you a choice of two server locations in the free variant i.e. Germany and Luxembourg. To unlock additional servers, you will need to opt for one of the premium plans. Premium users can activate their desired subscription via purchasing the required code from VPNium website, followed by entering it into the activation window of the app. Simply type in the code, click Activate and you’re done. Yes it's becoming more common at last! Nowadays many planes come with internet access for an arguably small fee. 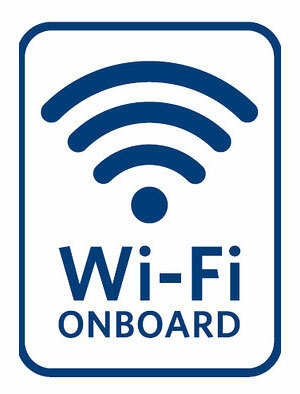 Some airlines offer Wi-Fi across their entire fleet while others only on certain types of planes and flights. If you want to find out if you can stay connected during your flight, you only need to know where to look. SeatGuru: Designed for finding the best seat on a plane, but offers information about Wi-Fi and other amenities as a natural extension of the service. Hipmunk: Designed for finding flights but will identify those with Wi-Fi. Routehappy: Designed for finding flights but will identify those with Wi-Fi. Use any of those tools and you can figure out if your flight has Wi-Fi before you book it or depart. So you have multiple computers and you want to keep your files in sync, but you don’t want to store them on someone else’s servers. You’ll want a service that synchronizes files directly between your computers. With such a service, you can synchronize an unlimited amount of files and people can’t gain access to your files just by gaining access to an account on a server and viewing the files via the web interface. BitTorrent Sync uses BitTorrent to transfer files — in private and in encrypted form, so no one can snoop on them. Just install it, select a folder, and generate a secret. Provide that secret to anyone — either another computer you own or a friend you would like to sync files with — and your folder will be automatically kept in sync across all configured PCs. This happens directly — either over a local network or over the Internet — using the powerful and fast BitTorrent technology. And it’s completely free. LogMeIn’s Cubby offers cloud storage, but it also offers a “DirectSync” feature. DirectSync allows you to synchronize an unlimited number of files directly between computers, skipping the cloud. SparkleShare: SparkleShare is an open-source Dropbox-like file syncing solution. The only difference is that you host it yourself. You could host Sparkleshare on one of your computers or on a server you have access to and get Dropbox-like syncing that’s entirely under your control. rsync: rync isn’t an instant syncing solution, but it can be used to run automatic incremental backups to a server. You could run a nightly rsync job and sync your files to an FTP server.